This edited volume provides a coherent and comprehensive assessment of Antonio Gramsci's significant contribution to the fields of political and cultural theory. It contains seminal contributions from a broad range of important political and cultural theorists from around the world and explains the origins, development and context for Gramsci's thought as well as analysing his continued relevance and influence to contemporary debates. 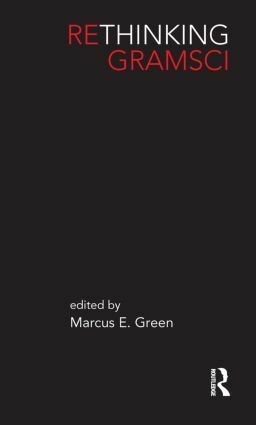 It demonstrates the multidisciplinary nature of Gramscian thought to produce new insights into the intersection of economic, political, cultural, and social processes, and to create a vital resource for readers across the disciplines of political theory, cultural studies, political economy, philosophy, and subaltern studies. Marcus Green is Assistant Professor at Otterbein College, USA.